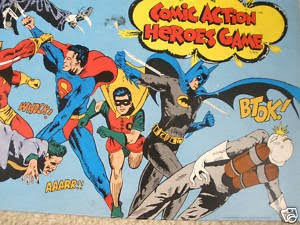 Batcave Toy Room - Better Living Through Toy Collecting: Comic Action Heroes Board Game, Who Knew? 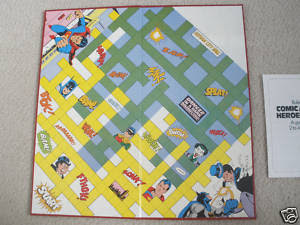 Comic Action Heroes Board Game, Who Knew? I am pretty familiar with all of Mego's Super Hero toys and Reis O'Brien at Geek Orthodox posted a sweet set of Comic Action Heroes action figures a couple of days ago, but I have never seen this little gem before. 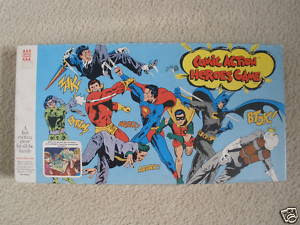 While hunting around eBay a came across this board game based on Mego's Comic Action Heroes line. 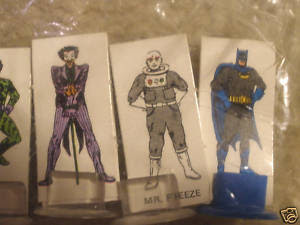 Interestingly, the board game featured the Riddler and Mr Freeze who were never produced as Comic Action Heroes action figures. Mr. Freeze was planned as part of Mego's 8" line at one time, but was never produced. You can see above Mr Freeze looks like the Otto Preminger's portrayal of the Dark Knight's frosty foe on the 1966 Batman TV series. 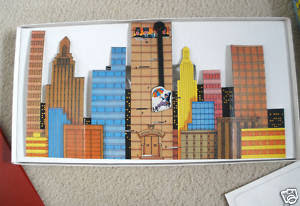 This board game was produced in England for Denys Fisher Toys around 1976. I wonder why it never came out in the United States? For more Super Hero collectibles check us out. I recently got one of these from E Bay UK, but my wife has nabbed it, and put it away for Christmas for me!, I didnt even get a chance to look at it!..judging from your pics, it looks Ace!